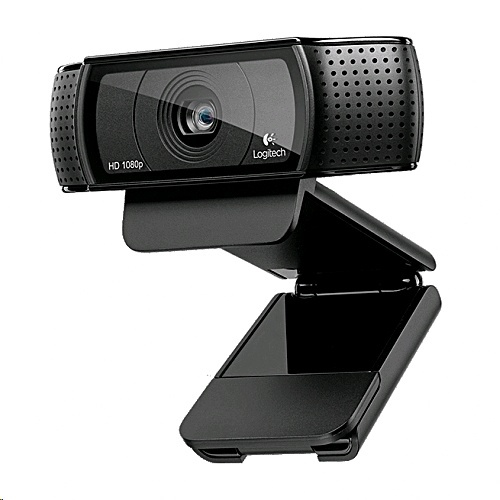 From vlogging to video chat, the Logitech HD Pro Webcam C920 delivers breathtaking high-definition video. You can Skype in Full HD and video chat in widescreen 720p on most major IM applications, and dual stereo mics will capture high-quality audio to complement the high-quality video recordings. Full HD Skype calls: Enjoy incredibly detailed 1080p video calls on Skype, so your friends and family can see the real you. Connect to all your social networks: You can stay connected in brilliant 720p on Windows Live Messenger and make high-quality video calls with Yahoo Messenger, Gmail Voice and Video Chat, Google+ and virtually all other video-calling applications. H.264 and advanced compression technology: Capture Full HD 1080p video and 15MP photos, then quickly upload them to Facebook, Twitter, or YouTube. You'll enjoy fast, smooth uploads that won't stress out your computer. Carl Zeiss optics: A Logitech webcam exclusive, this technology comes from the makers of NASA lenses for the best in camera design. Smooth, responsive autofocus: Premium 20-step autofocus ensures consistent clarity and detail. Dual mics with stereo audio: Two microphones are located on either side of the webcam, so all you video calls and recorded video will include natural stereo audio.